I’ve shared my vaccine story and how the MMR vaccine ruined my health with the hope that it might save you from the downward health spiral that vaccines can trigger. Part of what makes vaccines so hard on the body is the toxic effects that they have on the immune system. There is also emerging evidence that vaccines may trigger an allergic reaction to food. Yep- vaccines can cause food allergies, folks. Autoimmunity is one side effect of vaccines. Allergies are another. In short, when we inject food proteins, rather than consume them, we get in the way of the immune system’s ability to accept the food as normal. We currently don’t know enough about vaccines to say that they can be safely given to everyone. 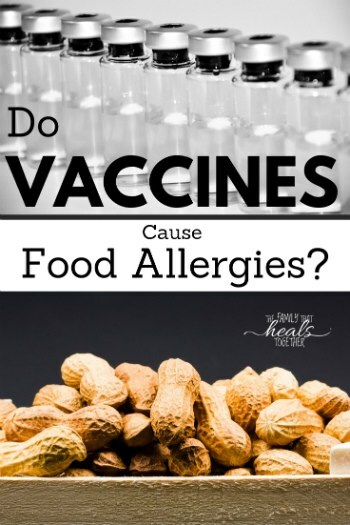 In this blog post, I’ll share about how vaccines might cause food allergies. What does an allergic reaction to food look like? When the body has an allergic reaction to food, the immune system produces signals specifically for that food. In the case of most food allergies, we call these signals IgE antibodies. When antibodies come into contact with specific food proteins, this triggers the release of histamine. Not everyone will develop an allergy to common allergens, like dairy and egg. But when a food allergy develops, the body reacts when you eat that trigger food. Sometimes, eczema or asthma accompany food allergies. The most common ways to identify a food allergy are to use a skin prick test or a blood test that looks for IgE food antibodies. The current gold standard to confirm an allergy is with an oral food challenge. In order for a food allergy to develop in the first place, you must first be sensitized to the allergen. This is when you are first exposed to the trigger food protein and go on to develop antibodies. During sensitization, there are no symptoms of a food allergy. After sensitization, your next encounter with the trigger food will cause allergy symptoms. Usually, this happens rapidly. But what causes sensitization in the first place? We know that food allergy and related issues like eczema and asthma are becoming more common. But there are still a lot of unanswered questions when it comes to explaining how allergies arise. The gut plays a role. Genes can also increase the risk of developing allergies. And so can the environment. And then there’s the hygiene hypothesis – that we’re too “clean.” Suggesting that living with pets, livestock, or even older siblings can reduce the risk of allergies. Where do vaccines fit in? Many vaccines contain food proteins. And as we’ll talk about later, how they’re administered matters too. The very act of injecting food proteins into the body – rather than ingesting them – may increase the risk of food allergies. A vaccine works with your child’s immune system to educate it against infectious agents. For example, when your child gets sick, special immune cells recognize the pathogen as an invader. Each invading pathogen contains antigens, which generate an immune response. Part of this immune response includes antibodies. Once a pathogen is destroyed, the body stores antigens in the lymph nodes. This creates a “memory” of the infection and speeds up the body’s response so that next time it can release antibodies and quickly fight the invader. A vaccine mimics an infection. A weakened pathogen or parts of the pathogen kickstart an immune response so that after the mock infection has cleared, the body has a memory of the infection and the potential for a rapid immune response. That said, we still don’t know all the ways that a vaccine interacts with the immune system. This means that full safety cannot be confirmed. Can vaccines cause food allergies? Antigens in the vaccines that the committee is charged with reviewing do not typically elicit an immediate hypersensitivity reaction. However… the above-mentioned antigens do occasionally induce IgE-mediated sensitization in some individuals and subsequent hypersensitivity reactions, including anaphylaxis. In other words, scientists have noted a relationship between vaccines and the development of allergies, including severe allergy known as anaphylaxis which requires immediate medical care. And yes, vaccines do contain food proteins. For example, Tdap and DTaP vaccines contain milk protein. In children with severe milk allergy, these vaccines can cause anaphylaxis. In this case, the initial vaccine isn’t usually the problem. Which means that sensitization occurs with injection into the body, when the food protein bypasses digestion. Then, when the time comes for a booster shot, a milk-sensitized child shows signs of food allergy. Likewise, it’s also been shown that IgE antibodies to egg white can increase after receiving the flu vaccine. Beyond this, vaccines also contain polysorbate 80 and sorbitol which are manufactured using food sources like wheat and corn. And at this point, no one can guarantee that vaccines with polysorbate 80 and sorbitol are free from allergenic proteins. In addition to allergenic food proteins from egg and dairy, vaccines contain adjuvants or “helpers.” An adjuvant stimulates the immune system and helps to make a vaccine more effective, maintaining immunity over a long period of time. Manufacturers often use aluminum as an adjuvant, which unfortunately is also a neurotoxin. Aluminum can make the brain inflamed and may even lead to autoimmunity. And in the case of food allergy, aluminum supports the production of IgE, making food proteins more allergenic. 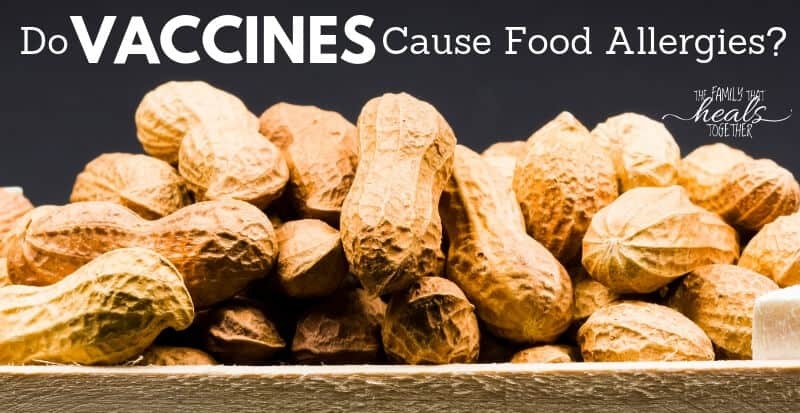 We also see this in the case of peanut allergy: a vaccine containing an aluminum adjuvant leads to increases in cow milk protein IgG and peanut protein IgE, even with food avoidance. Even though there’s plenty of evidence to suggest that vaccines cause foods allergies – enough to at least warrant more caution – many parents feel pressured to get their child fully vaccinated. Sometimes the connection is tough to pinpoint since food allergies might be diagnosed weeks or months after a vaccine. Meaning that even though the vaccine caused a food allergy, it comes across as far less obvious than anaphylaxis. With up to five vaccines given to a young child at one time, why aren’t we doing more to investigate the safety of food proteins and adjuvants in vaccines? Did your child have an allergic reaction to food after vaccines? Share in the comments! You’ve got your colloidal silver and essential oils. But did you know that beta glucan offers its own, special kind of immune support? Whether you’re struggling with allergies, an inflamed gut, or even cancer – you want beta glucan in your medicine cabinet. Beta glucan refers to a group of dietary fiber or polysaccharides found naturally in the cell wall of brewer’s yeast, mushrooms, seaweed, and cereals like oat and barley. Many culinary mushrooms like oyster mushroom, porcini, or shiitake are also sources. But not all beta glucan is the same. For example, where it comes from often determines the effects it will have in the body. For over 20 years, scientists across the globe have been looking into the benefits of beta glucan. In the United States, it has GRAS status, meaning it’s “generally recognized as safe.” Beyond the US, it’s available several other countries, including Canada, Finland, Sweden, China, Japan, and Korea. Beta glucan activates the immune system, turning up the dial and helping you to fight infection. It helps to safeguard against disease and promote a feeling of overall wellness. It’s often used as part of anticancer therapy or to quiet and inflammatory response, such as what you might see with irritable bowel syndrome. 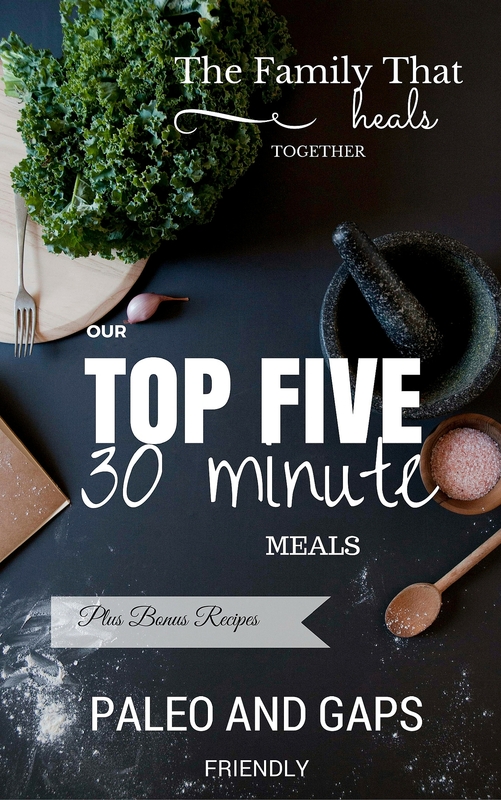 From the list above, it might seem like every home needs a bottle of this magical supplement. But is it safe? Is beta glucan safe to use? 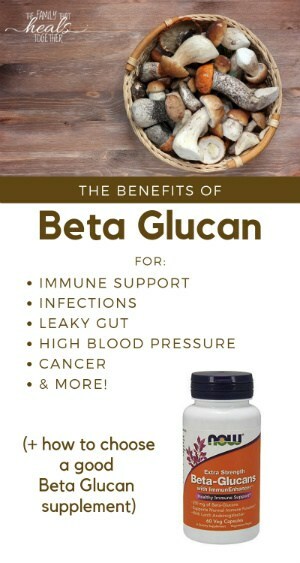 What makes beta glucan so easy it that it’s found abundantly in nature. Remember, it’s naturally in the fiber or polysaccharides of mushrooms, yeast, and cereals. Seaweed is another source of this immune-modulating fiber. And because it’s found in yeast – which coexists with bacteria in the gut as the mycobiome – it’s native to the gut. This means that your immune cells are already deeply familiar with beta glucan. So, it may come as little surprise to hear that beta glucan is safe and no adverse effects have been reported. But how does it work with the body? In short, beta glucan helps to modulate the immune system. If you think about it, there’s a LONG list of disorders and health problems linked to an overactive or an overburdened immune system. From allergies to depression and cancer, these special polysaccharides appear to lift the load and improve the overall quality of life. As I mentioned above, there are many sources of beta glucan. And each of these sources has its own unique effect. For example, beta glucan from mushroom and yeast is more known for its antitumor activity and ability to ward off infection. Whereas that from barley and oat does good things for blood sugar, insulin, and cholesterol levels. For a long time, no one really understood how something so simple had such a broad impact on the immune system. We now know that some immune cells have a receptor for beta glucan, allowing it to bind to the cells and impact the expression of immune signals. What’s more, we know that it has the ability to move from gut to peripheral circulation. This tells us that the gut naturally understands and uses beta glucan in food. Finding the right beta glucan dosage for you depends on your age and why you’re taking it. If you flip through the literature on beta glucan testing, you’ll find dosage ranges from 100 mg in children to 900 mg in healthy adults with a recurring common cold. In other studies, patients with advanced cancer and receiving chemotherapy took a preparation containing 15 mg of beta glucan daily and still saw results described as a better sense of wellbeing, less fatigue, and reduced nodule size. I would follow the suggested dosage on the label for thirty days. 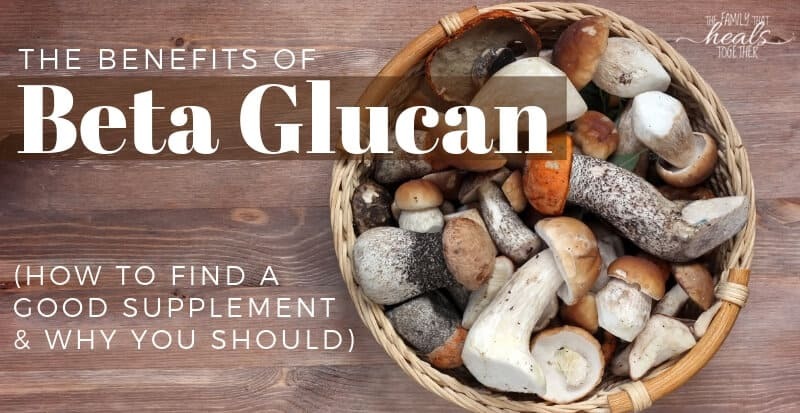 If I’m not seeing results, I might increase the dosage up to 900 mg.
Because beta glucan is found in mushrooms, many medicinal mushrooms are marketed as beta glucan supplements. But according to Chinese medicine, some of these mushrooms have other effects in the body that you may (or may not) want. For example, cordyceps can help with asthma and chronic cough, but it’s also very energizing and contraindicated during an active infection, whereas reishi mushroom is known as a blood tonic and for it’s calming properties. When choosing a beta glucan supplement, I recommend going with pure beta glucan. Click here for my favorite beta glucan supplement. If you are sensitive to yeast or you’re looking for a yeast-free formula, I recommend an algae-based beta glucan supplement like this one. Obviously, if you’re battling a malignant growth or cancer, beta glucan is sort of a no-brainer. The level of fear that cancer brings and the level of safety in taking a beta glucan supplement makes it very easy to add to your daily regimen. Recurring infection or trouble with allergies is another reason to supplement while incorporating more immune modulating foods like mushrooms, seaweed, barley, and oats. And finally, signs of metabolic disease including high levels of bad cholesterol and poor blood sugar control may benefit from extra beta glucan, especially that found in oat or barley extracts. Have you noticed any benefits when taking beta glucan? Share in the comments!